PinPuff measures your overall Pinterest influence as well as the value of each individual pin. 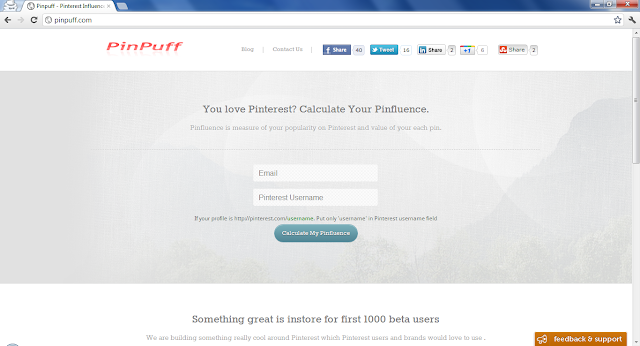 It calculates your Pinfluence, which is a measure of your popularity, influence, and reach on Pinterest. The score ranges from 0 - 100 with 32 being the average and over 70 making you a celebrity! What is your PinPuff score? Let everyone know in the comments below along with your username.